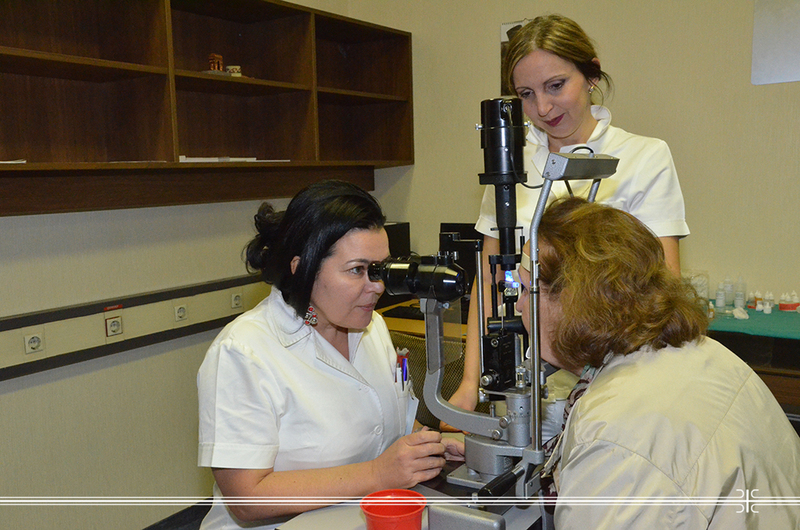 Free eye exams for the citizens due to early detection of glaucoma in the organization of the daily Politika and the Clinic for Eye Diseases of the Military Medical Academy were held at the MMA. Symptoms of some eye diseases were diagnosed in a large number of citizens and they were referred to further diagnostics, while in some cases glaucoma in the initial stage was detected and they were recommended a further course of treatment. MMA’s ophthalmologists remind that glaucoma is an insidious disease because it usually occurs without special discomforts that would force patients to go for an examination. However, if it is not detected in time, it can lead to severe complications and blindness. Therefore, a preventive examination is recommended for every person over 45, as well as for younger people who are suffering from glaucoma, diabetics, and patients with ischemic heart disease.